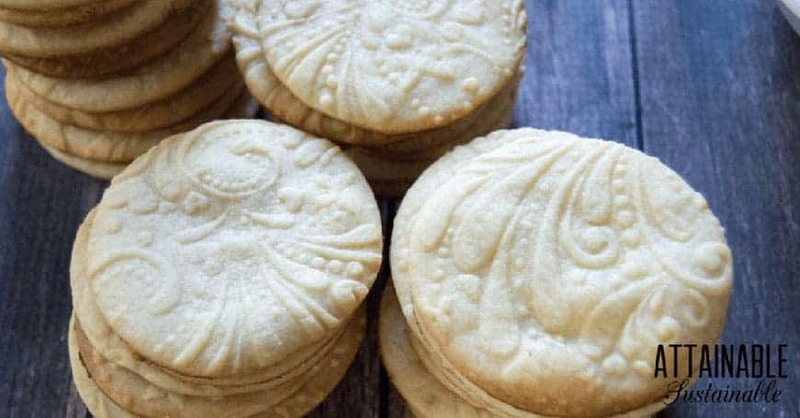 If you depend on those tubes of cookie dough at the supermarket to make rolled sugar cookies, it’s time you learned how to make sugar cookies from scratch! Spoiler: It’s not hard. 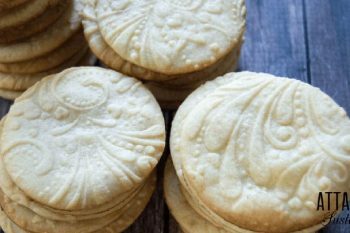 These homemade sugar cookies can be cut into any shape you like, embossed (or not), and dipped in chocolate (or not). The ingredient list for making homemade sugar cookies is basic. Measuring and mixing doesn’t take much time at all. Rolling the dough and cutting out shapes takes a bit of time, but it’s always been a social event around here. What I like about these is that the embossed rolling pin does the work of making them pretty. Even a simple shape like a circle looks fancy. You can use a round cookie cutter (or a highball glass) to make circles, or choose a fun shape to celebrate a special person. A baker might love this stand mixer cookie cutter and your chicken-loving friend will appreciate this one. Have fun with it — making rolled sugar cookies is such a fun family activity! You can re-roll the dough that remains after cutting cookie shapes, but the more you work the dough, the less tender the cookies will be. Be sure to liberally flour the rolling surface to prevent sticking. These cookies are pretty as-is, but to really indulge, you can give one edge of cookies a dip in chocolate. 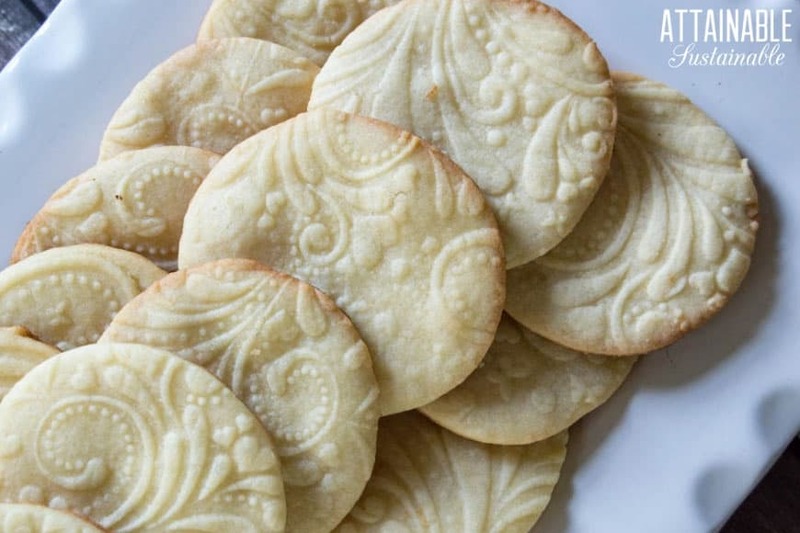 What I like about these homemade sugar cookies is that the embossed rolling pin does the work of making them pretty. Cream butter and sugar together in the bowl of your stand mixer, or in a large bowl Beat in egg and vanilla. Combine flour and baking powder. 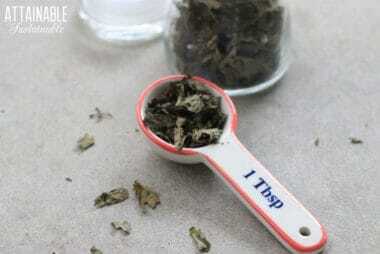 Blend dry ingredients into wet ingredients in several batches. Be sure to mix thoroughly before adding more dry ingredients. Refrigerate dough for an hour or so. Divide dough the dough in half. Roll dough out to 1/8-inch thickness on a floured surface. 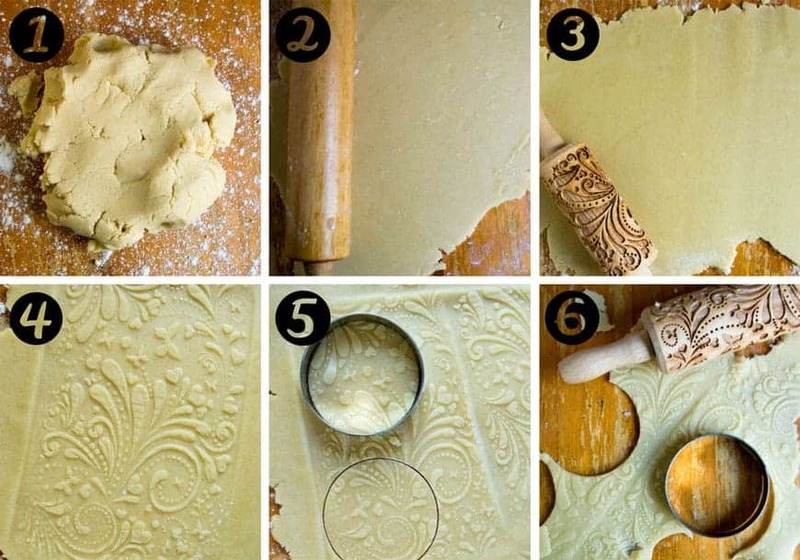 Use a patterned rolling pin to emboss the dough. Use a round cookie cutter or a highball glass to cut into simple circles, or use your favorite cookie cutter shapes. Place cut out cookies on an ungreased baking sheet. I like to line mine with one of these. Cool slightly then remove to wire rack. 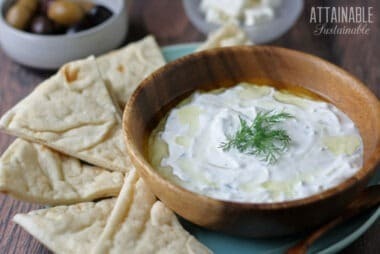 Cool completely before attempting to dip in chocolate. Pre heat oven to 400F degrees. Bake for six to ten minutes or until cookies are light brown around the edges. Melt one bag of chocolate chips in a double boiler stirring constantly. Chocolate can burn over high heat; a double boiler prevents this from happening. If you don't have a double boiler, you can set a small saucepan into a larger saucepan partly filled with water. 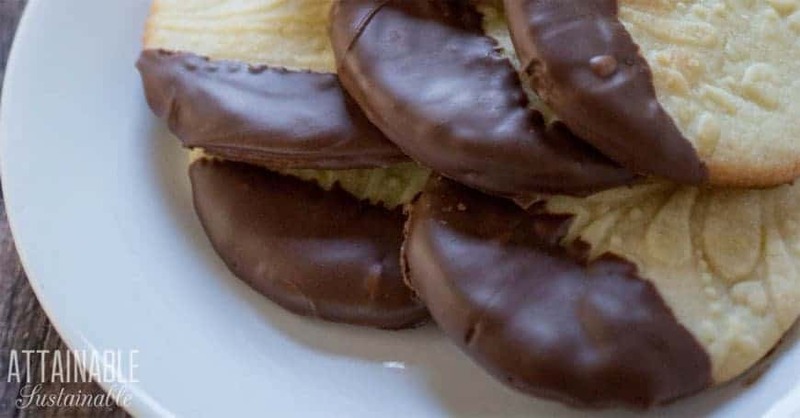 Once the chocolate is melted, dip one edge of each cookie and set cookies onto a wire rack. Next Post: Plant these Fall Veggies to Get the Most from Your Garden and Extend the Harvest! These were so good. They were also easy to make. how much flour is 2.75? 2-3/4 cup. Fractions don’t always translate in my recipe card form! Aren’t Steps 6 & 7 mixed up? There’s definitely some cut and paste errors there — thanks for alerting me to this! Bought rolling pin for embossing. Can’t wait to use it. Small Garden Ideas: Get the Most Bang for your Buck!